Tampa, Fla. – (7/31/2017) – Ice Cold Air Discount Auto Repair, a Largo-based auto repair franchise with 18 locations throughout the Tampa Bay area, introduced Aaron and Jessica Turner as the new franchise owners at the 501 East Sligh Avenue location in Tampa. Loyal customers from the shop’s beginning in 2003 will likely not even notice a difference, the husband half of the new owner team has served as the shop’s manager since 2015. The Turners purchased the franchise and it officially becomes the family business on Monday, July 31st. 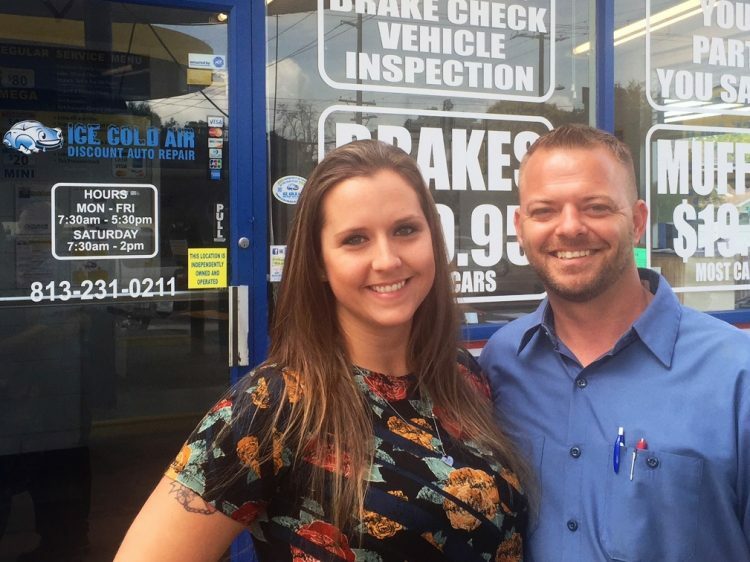 Owning an auto repair shop had always been a dream for Turner and a career he was born to do. His dad owned an auto repair shop when he was a kid growing up in Hamilton, OH and has fond childhood memories about the time with his dad. Turner has served in various roles within the automotive service industry for almost 20 years now. Together the Turners have five children. “The oldest is leaving for college this fall; hopefully our youngest will be graduating from diapers soon,” Turner said. Serving others has always been important to Turner. He established the shop’s very successful Putting the Brakes on Hunger Food Drive Campaign that has collected over 1800 pounds of food for Feeding Tampa Bay in the past two years. The springtime program encourages customers to donate several cans or boxes of food to Feeding America Tampa Bay in order to receive a free brake job, including labor, in exchange for their donation. Congratulations to Joey who is a technician at our 501 East Sligh Avenue Ice Cold Air Discount Auto Repair location in Tampa. 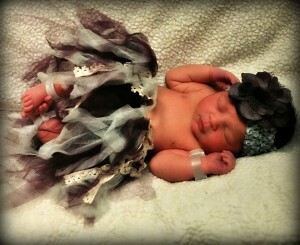 He and his wife CJ proudly announce the arrival of the beautiful Phoenix Ryder born on 12/2 at 12:10pm weighing 8lbs. 12 oz. and 20″ long. Both mom and baby are doing great. We are thrilled to announce this wonderful addition to their and our Ice Cold Air family. We are proud to introduce the beautiful Olivia Shea born on 6/2. 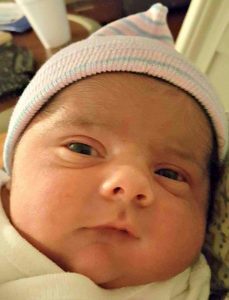 Congratulations to Eric, technician at 501 E. Sligh Ave. in Tampa, on the newest addition to his family. He says that mom and baby are both doing great. We wish Eric and his family bountiful blessings and a lifetime filled with joy and love. Our Ice Cold Air Discount Auto Repair location at 501 East Sligh Avenue in Tampa collected close to 1,000 pounds of non-perishable food donations from their customers during their four week “Putting the Brakes on Hunger” campaign that ended yesterday. They gave away a free set of brake pads including the labor to install them, to anyone who brought in eight cans or boxes of non-perishable food. Megan Carlson, Volunteer Services Manager from Feeding Tampa Bay confirmed the group donated more than 687 meals worth of food. 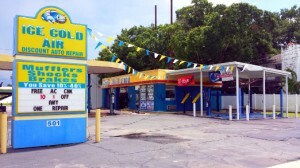 The first-time campaign was conceived by the shop’s manager Aaron Turner and this time was only valid at his Sligh Avenue location. Turner contacted Jason Caballero and Mike Salazar at Advance Auto Parts at 901 E. Hillsborough asking for assistance in sponsoring the campaign. Caballero and Salazar agreed to supply the parts for the campaign to help with costs. 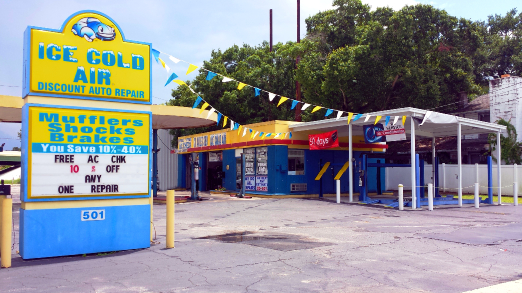 Since the program was so successful at generating donations, the Pinellas-based auto repair franchise with 17 locations in five bay area counties said they are working with the various franchise owners to consider executing the program to additional franchise locations in the future. The auto repair franchise does several charitable donations for auto service promotions each year, some are company-wide (Toys for Tots for 10 years), while other promotions are shop specific. Each location’s franchise owner is encouraged to support the charities that they hold close to their heart or support neighborhoods located near their shops. “Our customers and community have been very good to us for over 40 years, and supporting worthy local charities is an excellent way for us to give back to the community and our customers for their support,” Denham said. Congratulations to Aaron Turner (Manager of Shop 501 E. Sligh Ave. in Tampa) and his wife Jessica on the newest addition to their family. 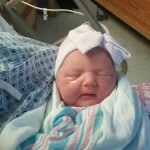 The Ice Cold Air ® Discount Auto Repair family warmly welcomes Baby Avery Leigh!